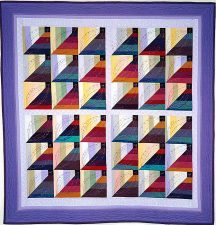 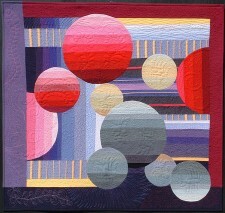 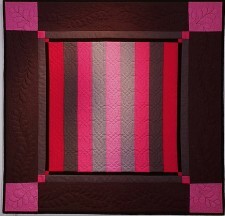 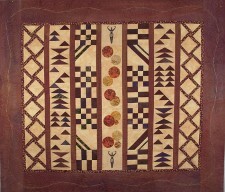 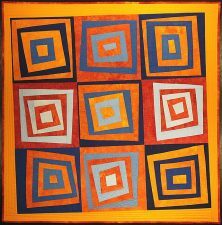 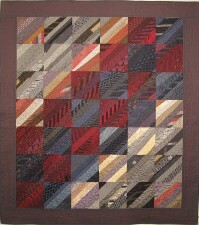 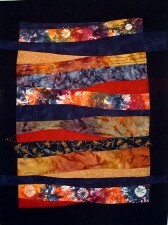 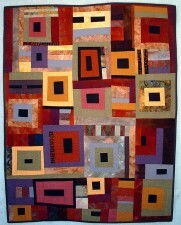 Amish quilts are traditionally made by Amish and Mennonites. 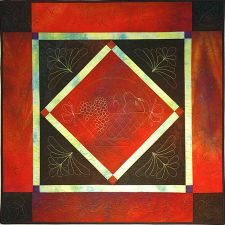 They are typically made with printed and solid fabrics, traditional block patterns, as well as non-traditional designs and become bedspreads. 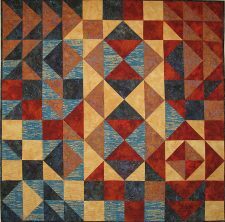 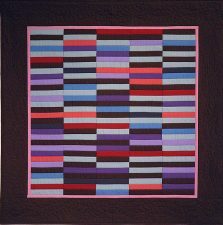 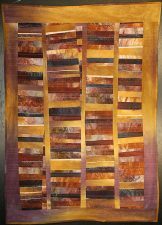 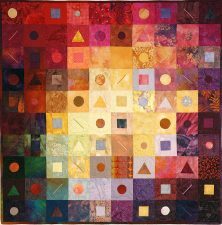 My Amish inspired wall hangings are designed with altered patterns of traditional blocks and include hand dyed and hand printed fabrics.